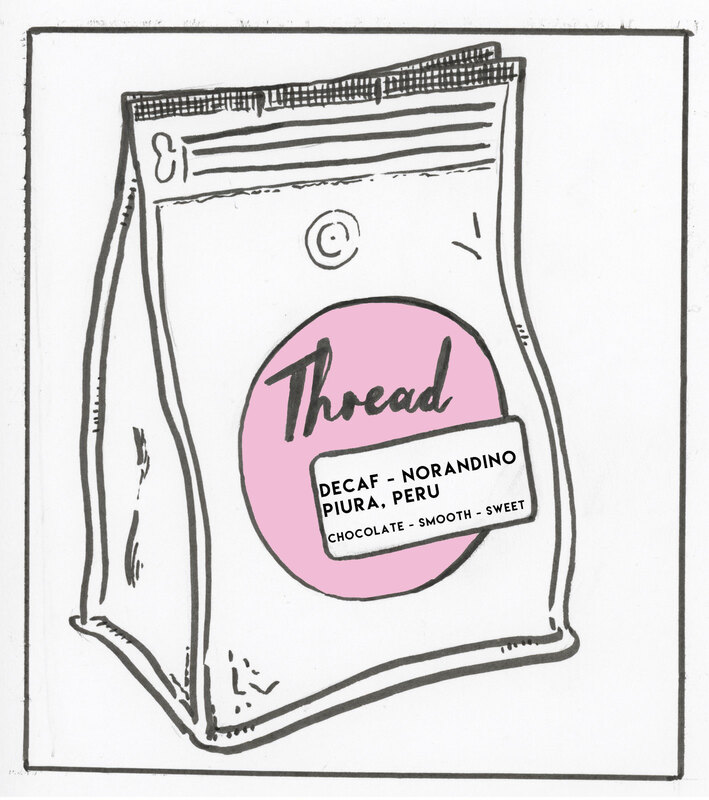 Thread DECAF: Norandino - Peru Organic - Swiss-Water Processed Location: Cajamarca, Peru Organization: Founded in 1993, comprised of 6,000 members Naturally decaffeinated without chemicals Tasting Notes: Chocolatey and pleasantly smooth. This coffee works well hot or cold brewed for a refreshing decaf iced coffee. From the Andes Mountains of Peru, the farmers of Cooperativa Norandino bring you a water processed decaf coffee that we roast on the darker side to bring out the chocolatey and pleasantly smooth characteristics. Coop Norandino (formally known as CEPICAFE) was founded in March 1995 with 200 members. Today the group has grown into a second level non-profit organization which represents coffee and sugar cane producers of the Piuran mountains of northeastern Peru. Norandino’s primary objectives are to sell 100% of their coffee to the specialty market, to strengthen their organization, and to establish respectful and collaborative commercial alliances with their international network of buyers. Through the consolidation of member organizations under the Norandino umbrella, producers are now active and respected agents for sustainable development in their region. They have worked collectively to improve quality and overall production under certified organic practices, and have increased their exports into specialty markets in North America, Europe and Asia. Farmers also enjoy access to financing and to development projects. This has facilitated the diversification of their production base to include a range of products from panela (raw brown sugar), jams and cocoa, to crafts and tourism.